When you’re looking for fast, reliable and affordable solutions to your greatest plumbing challenges in Pt. Pleasant Beach, NJ, turn to Air Tech Heating, Cooling and Plumbing. As a local, family-owned plumbing company, we’re proud to serve this shore community with top quality services, exceptional customer care and fair prices. Whether you’re a local or on vacation, our licensed, professional plumbing technicians are prepared to handle all of your plumbing needs. Installation, maintenance or repairs, no job is too big or too small. We take great pride in being the Pt. Pleasant Beach, NJ plumbing company to call for your most difficult problems. Serving the community of Point Pleasant Beach, New Jersey with an old-fashioned customer service approach, our highly skilled plumbers respect your property. We take the necessary steps to perform installations and repairs quickly so you’ll experience less impact on your daily lifestyle. Our experts have a vast knowledge of residential plumbing needs, from faucets and drain lines to sump pumps and hot water heaters. You’ll receive quality workmanship and guaranteed repairs, every time! Air Tech Heating, Cooling and Plumbing specializes in serving the needs of Property Managers and business owners. We are experienced in fulfilling the demands of rental properties and commercial development, offering fast responses and thorough communication. Your tenants will receive quality workmanship and professional repairs. Rest assured you’ll be dealing with a plumbing company who understands your needs, because we recognize the intricacies of tenant relationships. In addition to being NATE- and EPA-certified, our experts also offer concierge services to the LBI and Ocean County, NJ areas. This allows us to service your location even if you’re out of town. We provide quality service you depend on. As your trusted “plumber on call,” look for the most cost-effective solutions to your plumbing needs. Plumbing disasters can strike at any time. And when it occurs, you need service—fast. Not only that, but you need a plumbing company who will respect your home and provide quality work at a fair price. Whether you experience a plumbing emergency at your home, rental or business, the expert plumbers at Air Tech fully empathize with you. Our team of experienced and highly skilled plumbing technicians are prepared to handle any sized plumbing emergency, large or small. For both commercial and residential properties, we’re available 24 hours a day, 7 days a week. Air Tech provides plumbing installation and repair service in Pt. Pleasant Beach, NJ and surrounding areas. Whether you’re a business owner, resident or renting out your vacation home, if you need plumbing services in Pt. Pleasant Beach, we have you covered. Serving our community since 1999, the Point Pleasant Beach area has depended on us to provide professional installations, quick repairs and dependable plumbing service. Our expertise doesn’t just involve all of our industry knowledge, but highlights our full commitment to serving our clients with respect and trust. 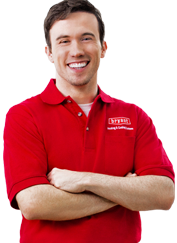 As a top-rated plumbing company in Pt. Pleasant Beach, we provide a comprehensive range of services to handle any size plumbing project. Installation- We offer professional installation of residential and commercial plumbing such as toilets, faucets, sinks, bathtubs, water heaters and more. Drain and Sewer- If you need to repair or replace any lines that are beyond repair, turn to Air Tech. Winterizing- When it’s time to leave town, trust in Air Tech to take care of all your winterization needs. Hot Water Heaters- If you’re in need of repairs, maintenance or installation, give us a call, we service all types of hot water heaters. Emergency Plumbing- Emergencies always come at the most inconvenient time. That’s why we offer convenient emergency services to help when the unexpected happens. Commercial Plumbing- Own a local business? Renting out a vacation home? We repair, maintain and install commercial plumbing fixtures and pipes quickly and conveniently. Concierge Services– Leave your home in good hands with Air Tech. With our House Watch Services, we can make additional visits to your Point Pleasant Beach property to conduct a visual inspection of the interior and exterior of your home and property and so much more. Call Air Technical Services plumbing company to learn more about this valuable service. You have questions? We have honest answers. Read through these frequently asked questions and answers below and then give us a call at 609-246-5905 with any additional questions. We’re always here to help. For an immediate response (24/7), call us directly at 609-246-5905. If you have more flexibility with your timing, feel free to contact us online. We service all brands and models. However, we have a direct relationship with certain HVAC and plumbing manufacturers, since we believe in their reliability for our customers. This includes: Bryant, Bradford White, Navien, Weil McLain and Lennox. Is there an Air Technical Services guarantee? At Air Tech, we’re proud to offer top quality work, done right the first time. We pledge that each and every job will be completed to our high standards and the satisfaction of our customers. We are committed to quality workmanship each and every time. What do I do if I need sewer line repair? A faulty sewer line can affect the entire plumbing system. If you’re experiencing an issue with your sewer line for your home or business, call us immediately. We have cutting-edge technology and the latest advancements available on the market to get the job done as quickly and cost-effectively as possible.